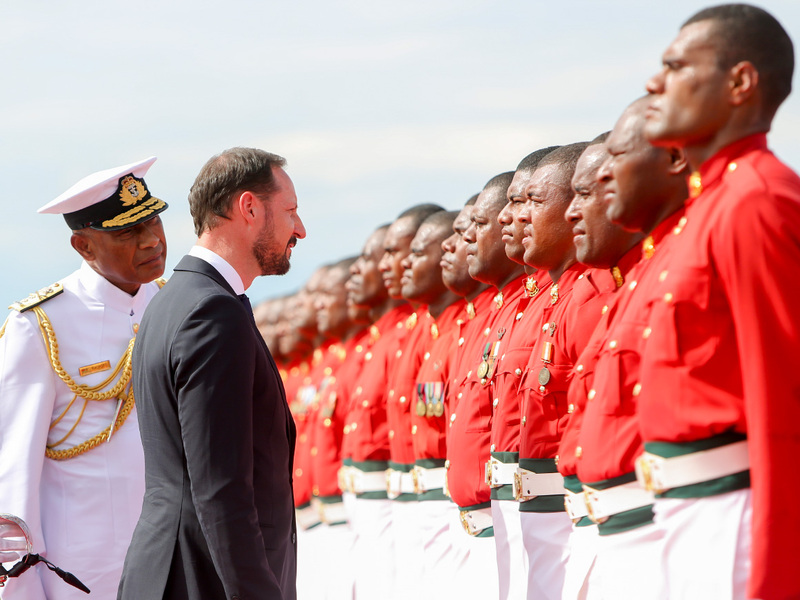 His Royal Highness The Crown Prince is on an official visit to the Pacific Ocean region, and today he was welcomed to Fiji in a traditional ceremony in the capital, Suva. In relation to its population, Fiji is the largest contributor to UN peacekeeping forces in the world, and Norwegian soldiers have served with Fijian troops in Lebanon – troops led by the current President of Fiji, Jioji Konrote. 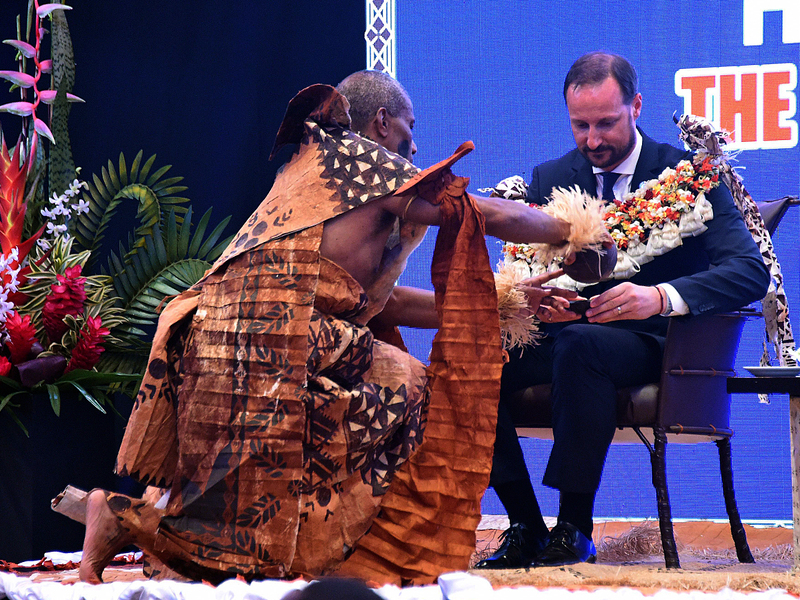 In the capital, Suva, Crown Prince Haakon was welcomed in the traditional manner, with a flower garland (salusalu) and a kava and whale’s tooth ceremony. After the ceremony, the Crown Prince met with President Jioji Konrote at his residence, Borron House. 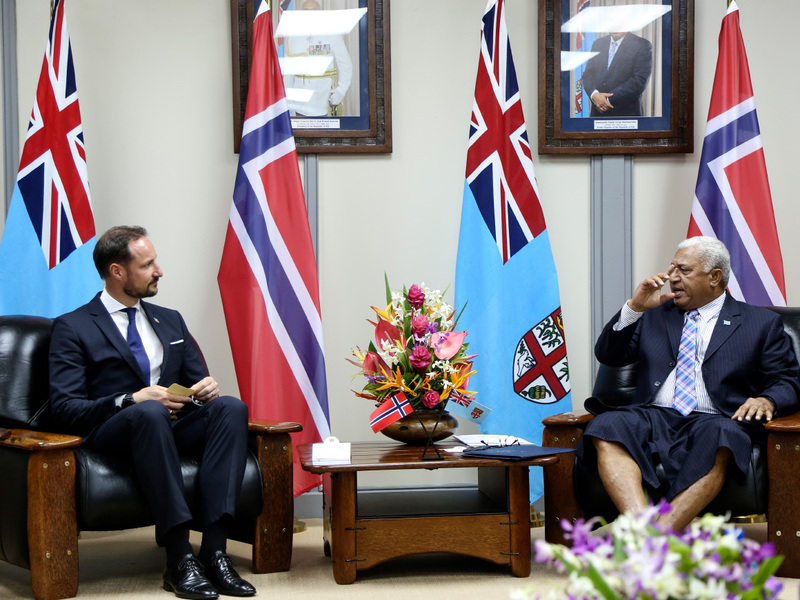 Cooperation between Norway and Fiji on ocean and climate issues was a key topic in their talks. 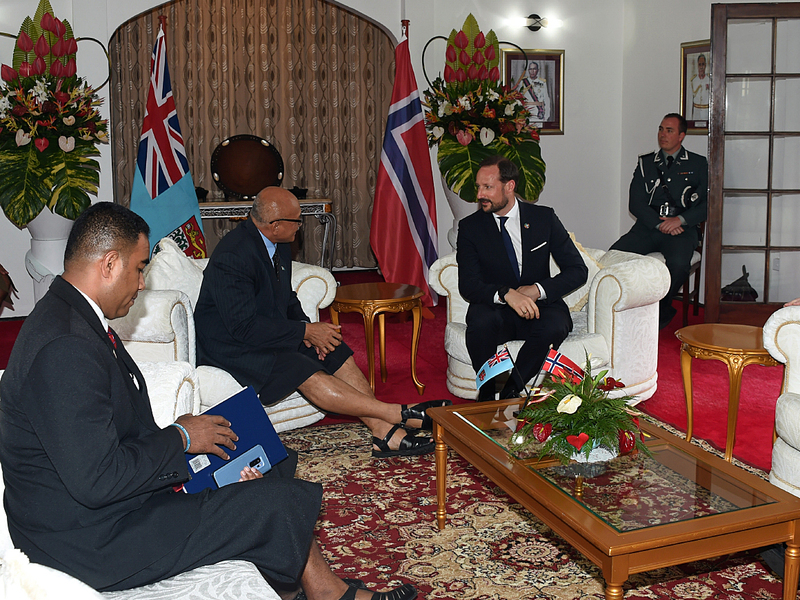 Fiji plays an active role in the United Nations, and Norway and Fiji share many common interests in that forum. Fiji presided over the negotiations leading to COP23, the major UN Climate Change Conference, and participates in the High Level Panel for Sustainable Ocean Economy, led by Norwegian Prime Minister Erna Solberg. Fiji also arranged the major UN Ocean Conference in 2017. Norway will carry on the work of that conference at the Our Ocean conference to be held in Oslo later this year. The Oslo conference will highlight knowledge-based management of marine resources, and the foreign ministers of Tonga, Fiji and Samoa have been invited to participate. 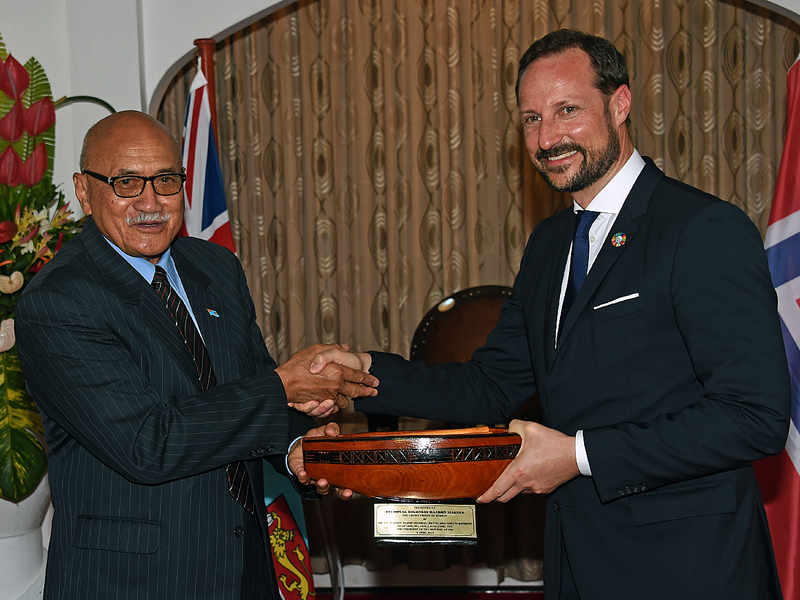 Crown Prince Haakon also had a meeting with Prime Minister Josaia "Frank" Bainimarama, who was also the host for a reception in honour of the official visit. 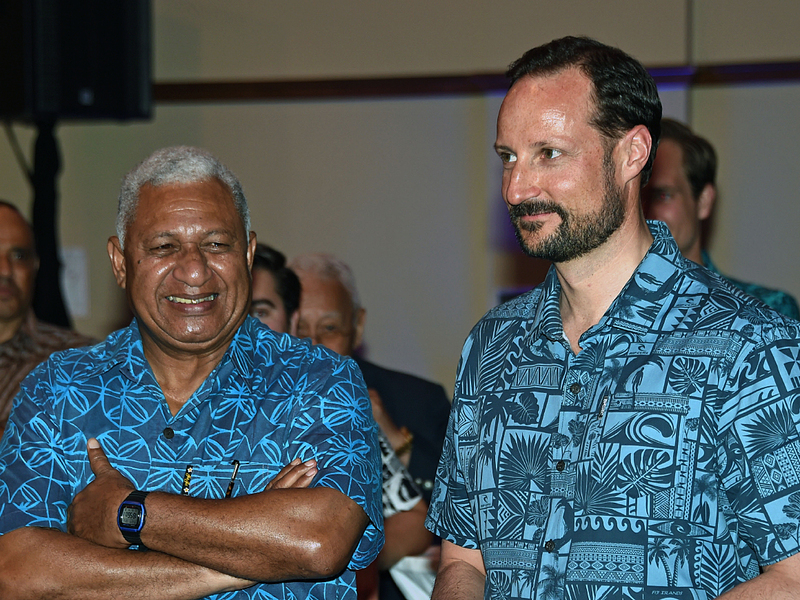 In his speech during the reception, the Crown Prince emphasised Fiji’s crucial leadership on ocean and climate issues and said he looked forward to cooperation on these issues, which are so important to both countries. 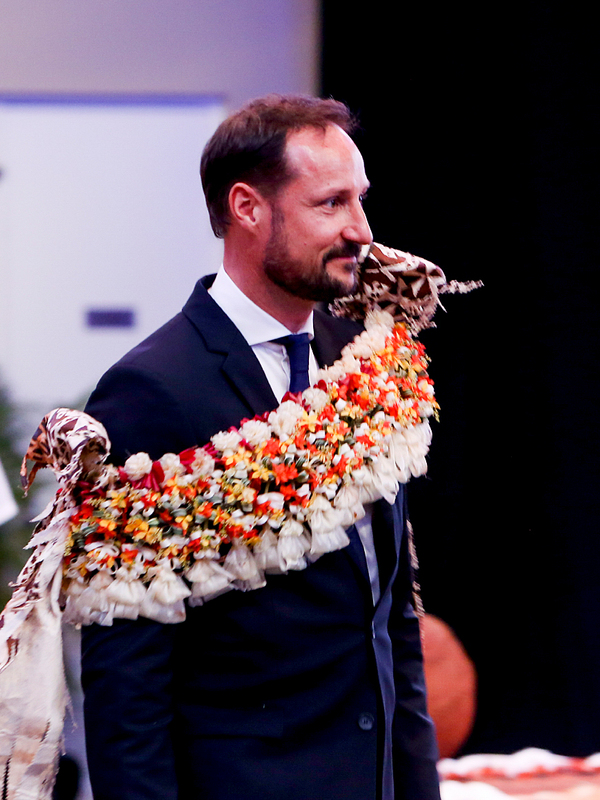 Crown Prince Haakon finished his speech by wishing Fiji good luck in the Rugby World Cup, which starts in Japan in September. Rugby is Fiji’s national sport. Tomorrow morning the Crown Prince himself will give it a try during a practice at Albert Park, Fiji’s national rugby arena.